In the book of Daniel we find the amazing story of Shadrach, Meshach and Abednego. For their refusal to worship the golden image that Nebuchadnezzar had set up, they were being threatened with death in a fiery furnace. This unfortunate interpretation gives rise to the exaltation of double mindedness. Think about it for a minute. Their first response is to declare that God will deliver them from the furnace and the edict of the King. Then they supposedly continue by saying that if God doesn’t come through, they still won’t bow to the image. Huh? Obviously if they are dead, they won’t be bowing to any image. Not only is the response nonsensical, it is double minded. If it be so, our God whom we serve is able to deliver us from the burning fiery furnace, and he will deliver us out of thine hand, O king. But if not, be it known unto thee, O king, that we will not serve thy gods, nor worship the golden image which thou hast set up. They then continue: “But if not.” But if not what? The Aramaic words here are ‘hen la.’ The ‘la’ is the negative added to the original ‘hen.’ Hen = if it be so. Hen la = if it be not so. The original declaration was in regards to the threat. The following ‘hen la’ is with regards to the same threat! This is what is being said: “If it be so that you throw us into the furnace, our God will deliver us. If it be not so (if you change your mind and don’t throw us in the furnace) be it known to you that we still won’t serve your gods…”Not only does this make perfect sense, it also delivers our heroes from the foolish double mindedness that has been attributed to them for so long. Their declaration is a declaration of faith. “God WILL deliver us. And if you change your mind, King, be sure that we still won’t worship your gods. ”This is what they really said. Don’t let tradition rob you of a powerful example of faith and deliverance! Author theancientsPosted on May 20, 2017 May 20, 2017 Categories Christianity, KnowledgeTags Abednego, Book of Daniel, deliver, double-mindedness, furnace, God, Meshach, Shadrach5 Comments on What Did They Really Say? GEN 11:31 And Terah took Abram his son, and Lot the son of Haran his son’s son, and Sarai his daughter in law, his son Abram’s wife; and they went forth with them from Ur of the Chaldees, to go into the land of Canaan; and they came unto Haran, and dwelt there. From the writings of Dayspring from on High. GEN 11:31 And Terah took Abram his son, and Lot the son of Haran his son’s son, and Sarai his daughter in law, his son Abram’s wife; and they went forth with them from Ur of the Chaldees, to go into the land of Canaan; and they came unto Haran, and dwelt there. And the days of Terah were two hundred and five years: and Terah died in Haran. 12:1 Now the LORD had said unto Abram, Get thee out of thy country, and from thy kindred, and from thy father’s house, unto a land that I will shew thee: And I will make of thee a great nation, and I will bless thee, and make thy name great; and thou shalt be a blessing: And I will bless them that bless thee, and curse him that curseth thee: and in thee shall all families of the earth be blessed. The Old Testament does not really outline why Abraham was chosen. Yes, it is true that the scriptures verify that Abraham was a great man of faith and he believed God. Further, his faith was drastically tested and he passed the test. However, what were the circumstances that led to God picking Abraham in the first place? The account of Abram’s being called out is given in the Book of Jasher. Some of you may remember the phrase, “written in the Book of Jasher” which is a direct quote from Joshua 10:13 and II Samuel 1:18. When we understand why Abram was called out, we can then understand his legacy as a blessing to the earth and his seed. The Book of Jasher gives us some general background about Abram. Abram was born in the days of King Nimrod in the times before the tower of Babel fell. His Father Terah was a chief military officer in Nimrod’s army. All of the earth was of one tongue and words of union, but Nimrod did not go in the ways of the Lord, and he was more wicked than all the men that were before him, from the days of the flood until those days. And he made gods of wood and stone, and he bowed down to them, and he rebelled against the Lord, and taught all his subjects and the people of the earth his wicked ways; and Mardon his son was more wicked than his father. Jasher 7:46, 47. Abram was also a contemporary of Noah and Shem and secretly visited them at times to receive instruction in the ways of the Lord. So this sets the stage for the advent of the birth of Abram who the Lord called to turn away the earth from worship of many idolatrous gods. The birth of Abram has many similarities to the birth of Jesus. On the night that he was born, the wise men and conjurors saw a large star swallow up four other stars. They were alarmed for King Nimrod and made this report to him. And thy servants were astonished at the sight which we saw, and were greatly terrified, and we made our judgment upon the sight, and knew by our wisdom the proper interpretation thereof, that this thing applies to the child that is born to Terah, who will grow up and multiply greatly, become powerful, and kill all kings of the earth, and inherit all their lands, he and his seed forever. … If it seemeth good to the king to give his father value for this child, we will slay him before he shall grow up and increase in the land … Jasher 8:11, 13 Much like the story of Herod and the child Jesus, it was thought that Abram was killed, but he was secretly taken to a cave for 10 years and then later to Noah and Shem. Later Abram returned to Terah’s house. And Terah had twelve gods of large size, made of wood and stone, after the twelve months of the year, and he served each one monthly, and every month Terah would bring his meat offering and drink offer to his gods; thus did Terah all the days. 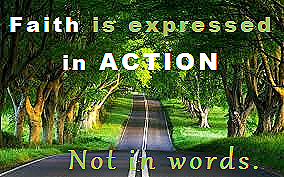 Jash 9:8 When Abram saw all this he pondered within his heart the meaning. And Abram saw the sun shining upon the earth, and Abram said unto himself Surely now this sun that shines upon the earth is God, and him will I serve. And Abram served the sun in that day and he prayed to him, and when even came the sun set as usual, and Abram said within himself, Surely this cannot be God. … And Abram saw the stars and moon before him, and he said, Surely this is the God who created the whole earth as well as man, and behold these his servants are gods around him, and Abram served the moon and prayed to it that night. And in the morning when it was light and sun shone upon the earth as usual, Abram saw all the things that the Lord God had made upon earth. And Abram said unto himself Surely these are not gods that made the earth and all mankind, but these are the servants of God; and Abram remained in the house of Noah and there knew the Lord and his ways, and he served the Lord all the days of his life, and all that generation [Nimrod’s] forgot the Lord, and served other gods of wood and stone, and rebelled all their days. Jash 9:13-15, 17-19. From the writings of Dayspring. [To be continued]. A life of praise is not only the most enjoyable way to live, it’s also one of the most powerful ways to change your life. It doesn’t only affect you, It also affects those around you, God, and even the devil! While we can all agree that praising God is good, many only choose to do so when they feel like it. They think that praising God is only the response of a positive outcome. They allow their emotions and circumstances to lead them, which should NEVER be the case. Praise is not the inevitable byproduct that comes because everything is going right. It is the driving force! We may not feel joyful, but Galatians 5:2 tells us that the fruit of the Spirit is joy! Therefore, if the Holy Spirit is dwelling inside you, you have joy. You may not feel it, but you can still choose to life up your hands and speak forth praise by faith. When we praise in the midst of our hardships, our problems shrink, helping us keep our focus where it needs to be–on God. We will never be victors until we stop being victims. With the help of daily praise, you will get there! True happiness isn’t dependent on circumstances… it’s dependent on God. Everyone longs for happiness, but few possess it. Happiness isn’t a state of being; it’s a state of mind. A person can be happy when everyone and everything around them is in turmoil. They can be content no matter what their financial or physical conditions might be. So, how do we acquire happiness? First, we need to deal with what’s on the inside. Most people take a different approach; they want to deal with the outside. They pray for their problems to be solved and that only good things and good people will come their way. Guess what? That ain’t going to happen! As long as we are in this world, we will have problems John 16:33. And if we are living for God, we will have persecutions 2 Tim. 3:12. If you never bump into the devil, it’s because you’re going in the same direction. When you turn around and start swimming upstream, you will always encounter resistance. People and circumstances might start working against you. You can’t always control what goes on outside, but you can control what goes on inside when faced with that resistance. When you understand that, you will have discovered one of the greatest keys to happiness. In addition, you will be on your way to eliminating grief in your life. You see, it’s not your problems that are the problem; it’s the way you see your problems and the value you place on them that makes them a problem. Romans 8:18 says, “For I reckon that the sufferings of this present time are not worthy to be compared with the glory which shall be revealed in us.” Our future is so bright, we have to squint to look at it. All the sufferings of this life are short and insignificant compared to eternity and all the pleasures the Lord has in store for us. True happiness and contentment isn’t dependent upon circumstances– it lies in Jesus and our future with Him. So What! – He’s God and you’re Not! Many who claim unbelief in God continuously give the most ludicrous reasons for their unbelief. Scripture teaches and Christ Jesus demonstrated to us a God who is good, compassionate, loving, forgiving, merciful, righteous, holy, full of power and authority. Yet, those who twist scripture to justify their own desires would have you believe that God is none of the things mentioned above – instead, they choose to ascribe malevolent characteristics to Him in order to reason against the reverence and worship of Him. Even if God was none of the above and all the things these people say He is, they are still without excuse or reason for not worshipping or praising Him, simply because He IS God, and He made them. God IS who He IS. He’s not who you wish Him to be! God IS your Creator. You didn’t create Him, and neither did you create yourself or anything else for that matter. It’s not up to you to pick and choose in order to satisfy your foolish pride. God IS your judge. Your stupid judgments of Him mean absolutely nothing. So what if you don’t like the doctrine or idea of hell! So what if you do not know or understand the reasoning behind God’s righteous judgments! Who are you to think that you can stand in judgment over the Supreme Judge of the Universe! Who are you to label his righteous judgments as genocide. Is this your creation? Did you set the laws that govern both the spiritual and the natural in place? Can you even govern your own mind? So what if you don’t understand how and why God does things. So what God doesn’t conform to your ignorant standards! He IS God and you are NOT! It’s not up to you to decide whether or not He’s worthy of praise and worship! Know yourself and know your place in this universe. Author theancientsPosted on May 1, 2017 May 6, 2017 Categories Gospel12 Comments on So What! – He’s God and you’re Not! “You’re not enough. You should be dead. You should burn. You are a horrible person. There is so much evil in you. You are evil. Don’t trust yourself. Don’t trust your emotions. Don’t trust your judgement. It isn’t good enough, it could be evil and most likely is. You will ruin yourself. And everyone and everything around you. “But don’t worry, just be in relationship with me. Then it’ll get better. You’ll get better. Then you can say you’re sorry as often as you want! And as long as you do so often enough and really actually be sorry, then I’ll let you be close to me. Basically, you should just be in a constant state of sorry. Because everything you do is covered by your stench of evil sin, so I have to go back over it and smear my son’s blood all over it to cover up the horrible smell that is you. The rest of that garbage wasn’t worth pursuing… you already get the idea. Seriously, is this the caliber of people (dangerous filthy liars) that some churches are sending out as ambassadors ( as representatives) of Christ to the nations!? … who do not have to make up reckless, treacherous, disgusting lies in order to create offense. VS 14: Paul was seeking to stop anyone from interpreting his statements in a way that would make it look like God was unfair in His dealings with man. God can extend mercy to an individual without treating others unjustly. Just as in the parable that Jesus gave in Matthew 20:1-16, God treats everyone fairly, but to some He chooses to give extra mercy. Does that mean He is unjust? Not at all. If God chooses to call individuals to account for their actions and choices they have made of their own free will, He is completely justified to do that at any time. In Luke 13:1-9, Jesus mentioned the people whom Pilate had killed and mingled their blood with the sacrifices, and the people on whom the tower in Siloam fell and were killed. 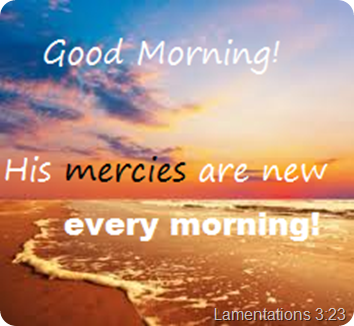 He raised the question (Luke 13:2 and 4), “Were these people worse sinners than others to suffer this judgment?” He answered His own question by saying that all of them deserved such judgment, but God in His mercy had spared them. He then immediately followed that with the parable about the man with an unproductive tree in his vineyard. He was going to cut down this dead tree and replace it, but the vine dresser interceded for the tree. The owner then gave him some extra time to see if he could revive itVS. Likewise, people all deserve judgment, but through things such as the intercession of others, God will sometimes show extra mercy to certain individuals. However, if He chose not to extend mercy to anyone and He called everyone’s accounts due, He would be completely justified in doing so. It’s His choice. God has never brought judgment on anyone without being righteous in doing so. Likewise, He has never extended mercy to any individual that made His treatment of someone else unfair. VS 16: There is a very subtle trap that many people who have been used of God fall into. They see what God has accomplished through them, and they begin reasoning, “God must use me because of my great faithfulness.” But that is not the case. God has never had anyone qualified working for Him yet. God is a lot more merciful than we are faithful. she was told, “The older will serve the younger.” 13 As it is written, “Jacob I loved, but Esau I hated.” 14 What shall we say then? Is there injustice on God’s part? By no means! VS 12: There is no record in Scripture that the individual Esau ever served the individual Jacob. However, Esau’s posterity (Edomites, Genesis 32:3) did serve Jacob’s posterity (1 Chronicles 18:13). Although Paul was making reference to the actual birth of these two individuals, the prophecy given to Rebekah and its fulfillment were referring to the nations that came from these men. VS 13: God did not hate Esau and love Jacob while they were still in their mother’s womb. He did choose Jacob over Esau as the inheritor of Abraham’s blessing before they were born, but Esau could have walked with God and have been blessed by God if he had chosen to do so. Malachi 1:2-3 says, “I loved Jacob, and I hated Esau.” This was written in approximately 557-525 B.C., thousands of years after the birth of Esau and Jacob, so this is not speaking of God hating Esau at birth. There is no mention in Scripture that God hated the individual Esau. This reference to Esau was referring to the nation of Edom (Esau’s descendants) in the same way that the term Israel often referred to the entire nation of Israel, not the individual (Genesis 32:28). God was saying that He had rejected the nation of Edom and had chosen the nation of Israel. Paul quoted from Malachi, not to show that God hated Esau and loved Jacob while they were still in their mother’s womb, but rather to confirm that the choice God made before they were born, based on His foreknowledge (see note 1 at Romans 8:29), was the right choice. Jacob went on to become a mighty man of God, and Esau despised the things of God. God’s choice of Jacob didn’t cause this to happen. This quotation from Malachi simply confirms that God’s foreknowledge was accurate. Jacob was called to a higher position than his brother, Esau, before they were born, but that does not display any rejection of Esau on God’s part. That is comparable to God choosing certain people to be pastors while others are called to be deacons. The deacons are not inferior to the pastors. They are simply called to different positions. Jacob and Esau were called to different positions before they had done any good or evil, to illustrate that election was not based on performance but choice. Jesus: "I am the WAY, the TRUTH, and the LIFE. The Ancients Create a free website or blog at WordPress.com.